In this module, you will terminate the resources you created during this tutorial. You will stop the services running on Amazon ECS, delete the ALB, and rollback the AWS CloudFormation stack to terminate the ECS cluster, including all underlying EC2 instances. 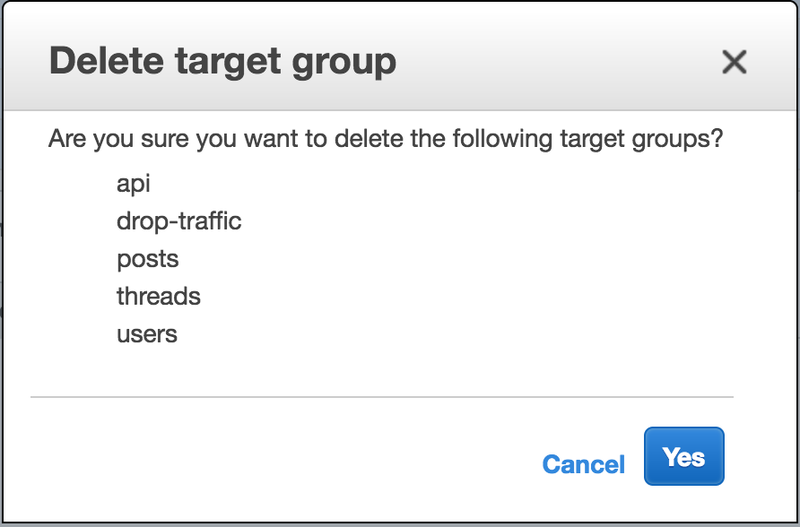 Follow the instructions below to delete the AWS resources you created in each module. Start cleaning up by spinning down each of the services you have running on your cluster. Open your cluster and click into a service. Select delete on the service console page and confirm. You will get a confirmation message and your cluster will be empty. ♻ Repeat these steps for each of your services on the cluster. 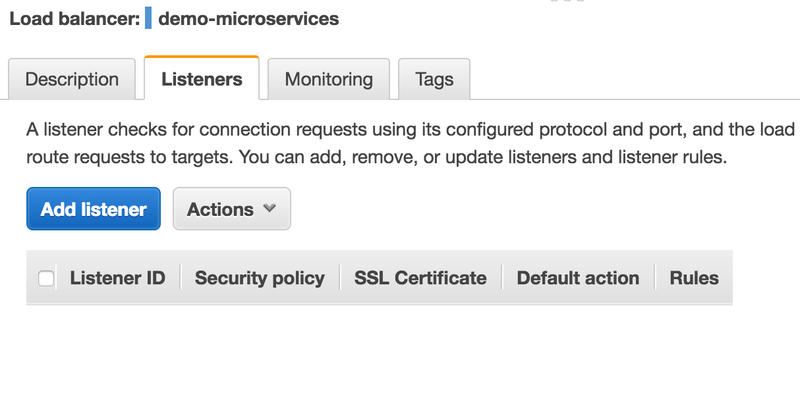 Select a load balancer and select the Listeners tab. Select the listener, then Actions > Delete. Confirm delete. Your listener should be gone. Navigate to Target Groups in the EC2 console. Check the box at the top of the list to select all target groups. Navigate to the AWS CloudFormation console. Check the box next to the Cloudformation stack you created earlier: BreakTheMonolith-Demo. Select Actions > Delete Stack. The stack status should change to DELETE_IN_PROGRESS. ⚠ WARNING! Leaving a stack running will result in charges on your AWS account. Navigate to Task Definitions in the Amazon ECR console. Click into a task definition. You will see a list of task definition revisions. Select all using the checkbox at the top of the list. Select Actions > Deregister and confirm. Navigate to Repositories in the Amazon ECR console. Select Delete Repository and confirm. You will see a confirmation message and should have no more repositories. 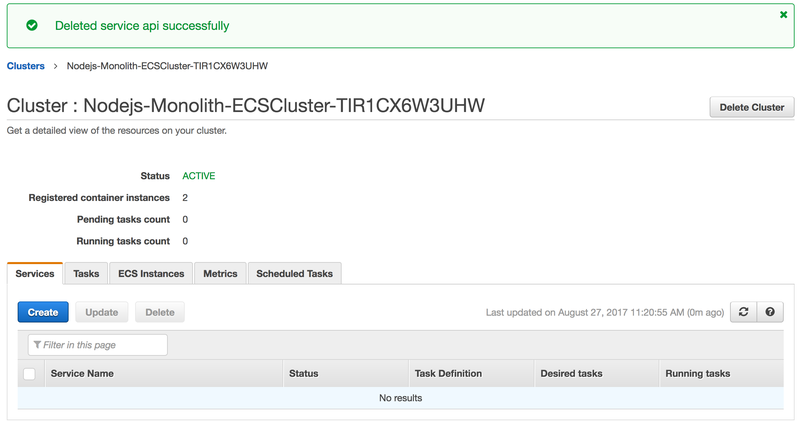 Learn more about using Amazon ECS to build and operate containerized architectures on AWS.